The stock closed at Rs 261.80 on April 15, trading 60.61 percent above its 52-week low and 59.75 percent below its 52-week high. 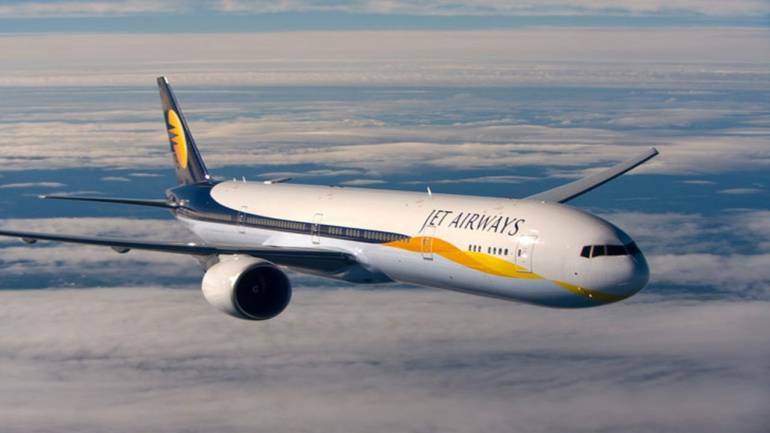 With its domestic operations scaled down to 7 aircraft, international operations suspended and a perpetual power struggle at the top-level, Jet Airways has been stifled into an existential crisis. However, investors seem to not give up on the beleaguered airline as its stock price is a fair distance away from its 52-week low on the BSE. Jet Airways' share touched 52-week high of Rs 650.50 and 52-week low of Rs 163 on April 30, 2018 and October 1, 2018, respectively. As on April 15, the stock had added 2.3 percent in the past two weeks and market capitalisation remained around Rs 3,000 crore. So how has the Jet stock managed to remain airborne despite its operations hitting rock bottom? According to market analysts, the hope that some company will eventually come to the rescue of the ailing carrier, whether it is the government or the lenders, has kept the stock price from mirroring Jet's dismal operations. "There is also some hope in investors given the takeover from SBI-led banks, that some buyer will emerge for the company," said Madhukar Ladha, Analyst, Institutional Research, HDFC securities. Intervention by lenders led by SBI has had a positive impact as the stock has gained 2.3 percent since March 25 when Naresh Goyal stepped down and the lenders pushed for a revival plan. The stock had fallen 10 percent in six months prior to the March 25th announcement. Another senior analyst, on condition of anonymity, said that the government will not give up on Jet as it has more than 20,000 employees on its payroll. While Naresh Goyal's expression of interest (EoI) and Etihad's reversal of stance has left the lenders fuming. Analysts believe that an understanding could be reached if Goyal keeps a fair distance from the managerial role, and returns solely as a stakeholder. Whatever might the case be, Jet has risen as an exception in an unforgiving market where stock prices react heavily to the daintiest of the bad news.